Call 9599588312 or visit our studio in Gurgaon to avail the best in makeup services! We guarantee you will look your best ever! Look your Best on perhaps the most important day of your life. 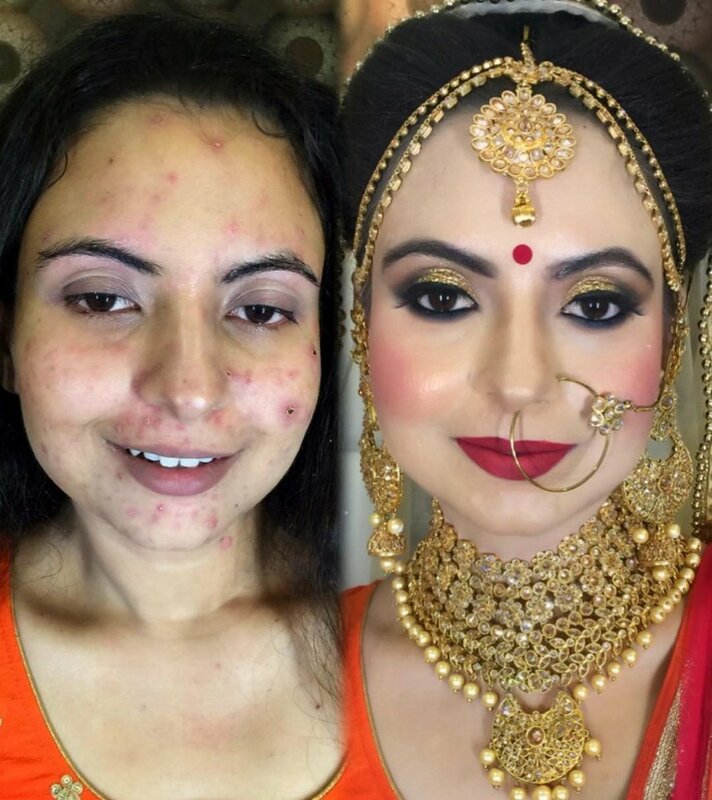 Parul's Bridal Makeup encompasses the true spirit of marriage. From Subtle undertones to bold eyes, Parul understands what the bride to be wants on her special day and customizes the makeup so that her every bride looks a class apart. 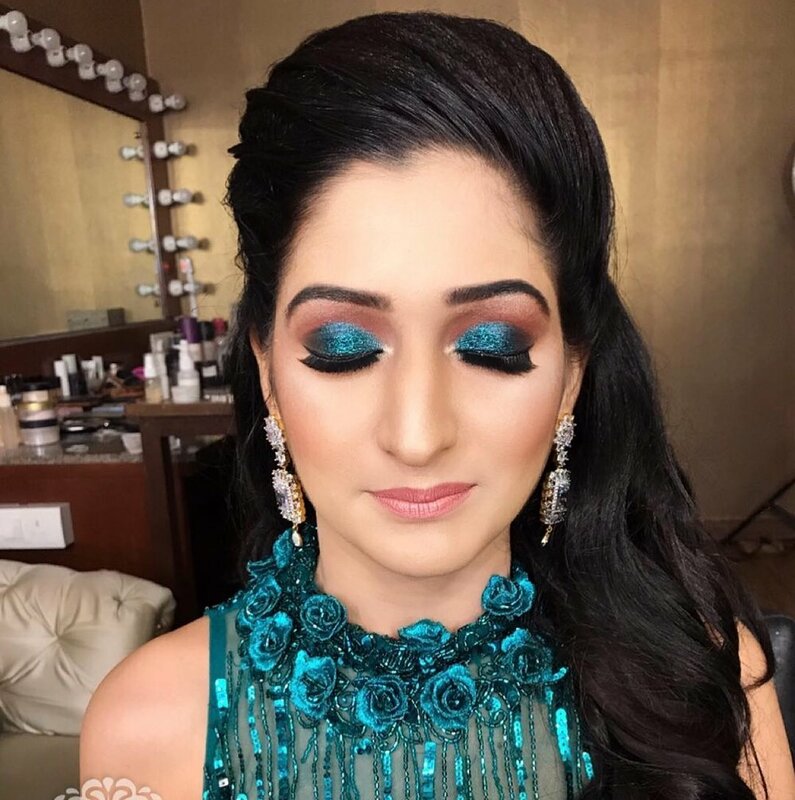 Explore Parul's Bridal Makeup Gallery here! Getting Engaged? Or it's your Mehndi? Or you are looking to glam up for your reception? Parul's Occasion Makeup will ensure you look the most beautiful and be the centre of attraction on your special Day. Explore Parul's Special Occasion Makeup in this Gallery. Full service Salon in the heart of Gurgaon offering beauty and hair services for females. Come and experience our pampering with the best of facials, hair treatments, waxing, manicure, pedicure and pre-bridal services at one of our outlets. Parul Garg Makeup and Hair Academy in Gurgaon offers basic, self grooming and professional courses in Makeup and Hair styling suited perfectly to all needs. All courses are undertaken by Parul Garg and other trainers in very small batch sizes. Click below to find out more about the courses we offer along with the fee and dates etc. Why spend thousands on purchasing something you are probably going to wear just once? Rent out the finest handpicked jewellery for your wedding and other occasions from us. Choicest selection and reasonable rents. Parul Garg is rated as a top makeup artist in Delhi, Gurgaon and NCR. Apart from her salons and studios, she is also a freelance makeup artist. Parul offers her freelance services all over India and the world apart from Delhi NCR. Being a top makeup artist in Delhi, Parul takes pride in her makeup and her happy clients are a testimony to her skills and dedication. Using the best of skills and products, Parul's work is almost magical. Her makeovers are seen to be believed. She has been rated as a top makeup artist in Delhi repeatedly by various independents reviewers, bloggers, photography studios, magazines etc. She is also a top freelance makeup artist by virtue of the fact that her team sets up a mini studio every time they freelance. They carry their own lights, mirrors, makeup chair and everything needed to execute the makeups at client location with ease. Choose Parul Garg Makeup Artist and Studios for your special occasions and we promise you will not be disappointed. Services Offered: In studios and Freelance Makeup Artist Services, Bridal Makeup Services in Airbrush and HD Makeup, Engagement, Party, Cocktail, Occasion, Sagan, Mehndi, Reception, Fashion, Editorial, Ramp, Media, TV and all kinds of makeup and training services available at our luxury studios in Delhi and Gurgaon and all over the world.